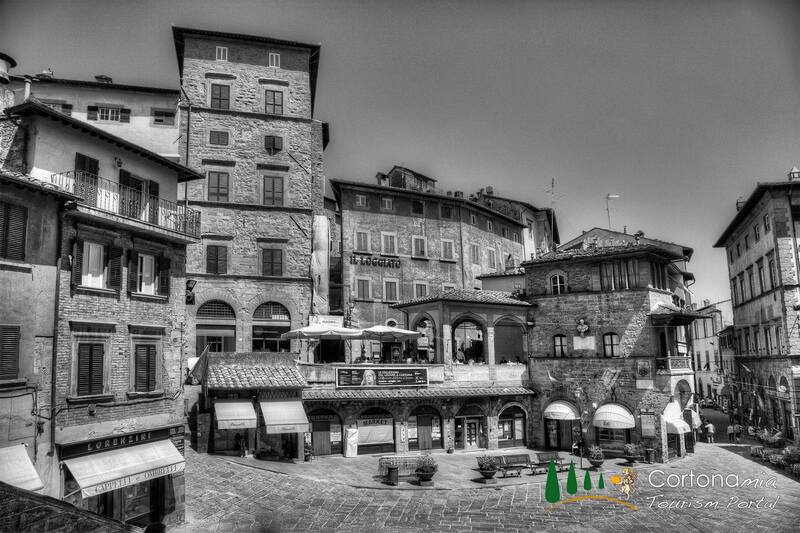 Cortona may become one of your favorite Tuscan hill-towns. Magnificently situated, with olives and vineyards creeping up to its walls, it commands enormous views over Lake Trasimeno and the plain of the Valdichiana. Its two fine galleries and scattering of churches are relatively unvisited, while its delightful medieval streets are a pleasure to wander for their own sake. Last but not least, pleasant bnb, apartments, hotels and restaurants make the town a good overnight base. ”Mother of Troy and Grandmother of Rome,” in popular speech. Tradition claims it was founded by Dardanus, the founder of Troy (after whom the Dardanelles are named). He was fighting a local tribe, so the story goes, when he lost his helmet (corythos) on Cortona’s hill. In time, a town grew up that took its name (Corito) from the missing headgear. By the 4th century bc the Etruscans had built the first set of town walls, whose cyclopean traces can still be seen in the 2-mile sweep of the present fortifications. A member of the Etruscans’ 12-city Dodecapolis, it became one of the federation’s leading northern cities. 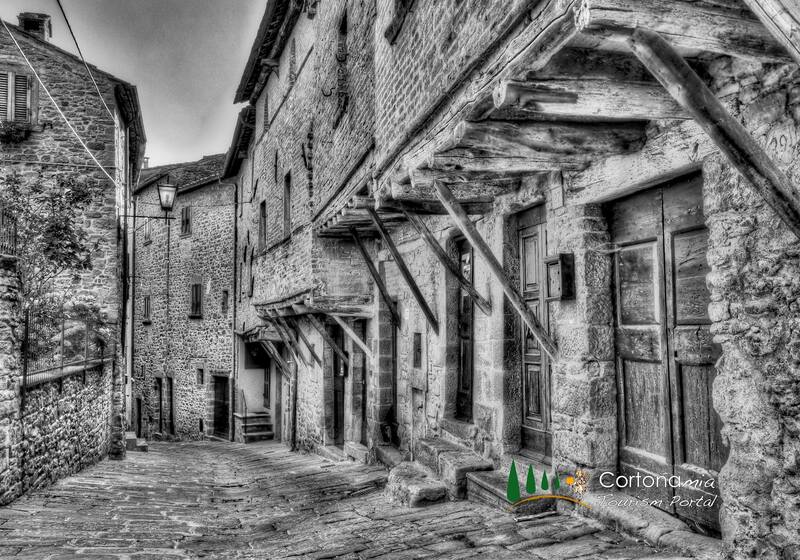 An important consular road, the Via Cassia, which passed the foot of its hill, maintained the town’s importance under the Romans. Medieval fortunes waned, however, as the plain below reverted to marsh. After holding out against neighbors like Perugia, Arezzo, and Siena, the comune was captured by King Ladislas of Naples in 1409 and sold to the Florentines two years later. 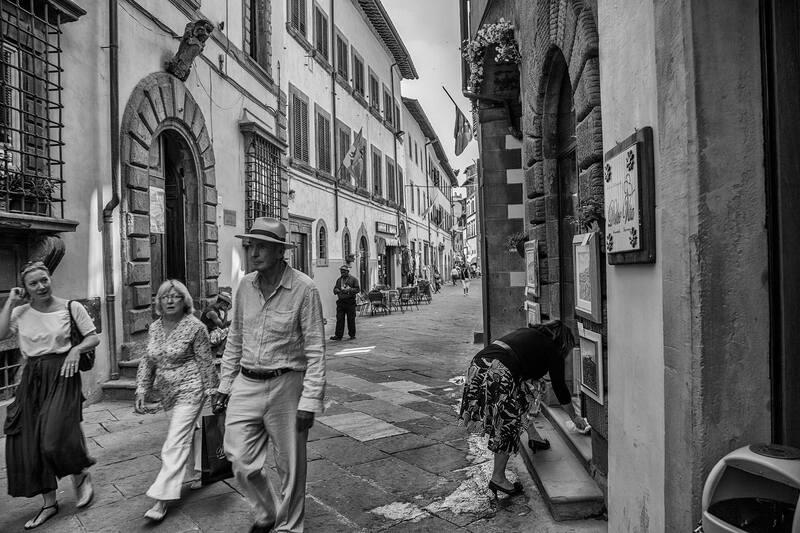 Cortona’s steep streets make you pay for your pleasure, but any amount of puffing and panting is worth it to enjoy their views and medieval vignettes. Only one lane is level: the main Via Nazionale (linking’ Piazza Garibaldi and Piazza della Repubblica), referred to by locals as the Ruga Piana (Flat Street). Areas well worth seeking out include Via Guelfa and Via Ghibellina, the main streets of the old town, both sprinkled with a mixture of medieval and Renaissance architecture; Via Janelli, a picturesque thoroughfare of 14th-century timber-framed houses below Piazza del Duomo; and Via Maffei, lined with a parade of 16th-century Renaissance palazzi. 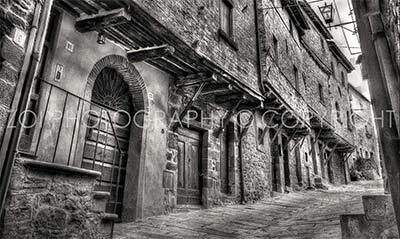 Also in this last street is the church of San Francesco, the first church established by the Franciscans outside Assisi. The third altar on its left (north) wall has an unfinished Annunciation (1669) by Pietro da Cortona, a poor substitute for the painter’s best work, which is divided between Rome’s baroque churches and the Palazzo Pitti in Florence, whose state rooms feature the ceiling frescoes that brought the artist fame (see page 117). 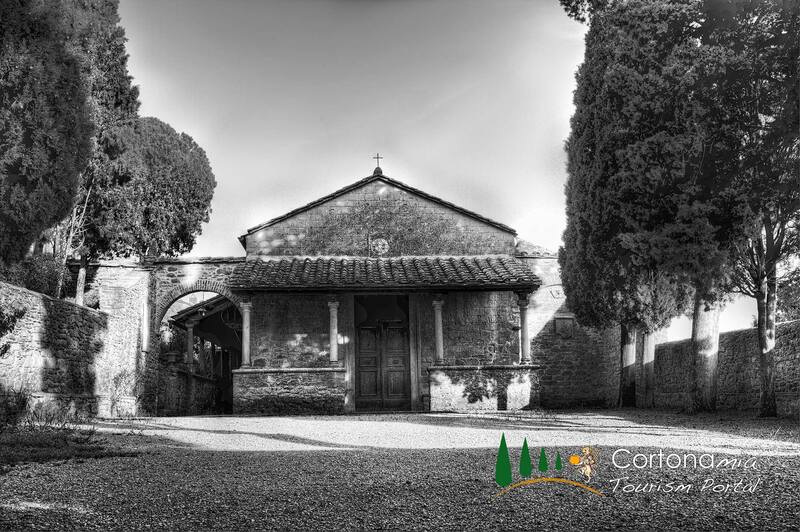 The church’s crypt is believed to contain the tomb of Cortona’s other famous painter, Lyca Signorelli (1441-1523). Northeast of the town center, be sure also to visit the cypress-shaded San Nicolò, known for an unusual double-sided painting by Signorelli. One face shows a fine Deposition, the other a Madonna and Child. Ask the custodian to operate the intriguing pulley system that turns the painting around. Fra Angelico’s old church, San Domenico, has a faded fresco by the painter over its portal. A chapel to the right of the high altar contains a Madonna and Saints (1515) by Signorelli and a detached fresco of San Rocco by Bartolomeo della Gatta. The strik- j ing altarpiece, The Coronation of the Virgin (1402), is by Lorenzo Gerini. To the east of the church the Giardini Pubblici called “Parterre” (public gardens) offer lovely walks with superb views. 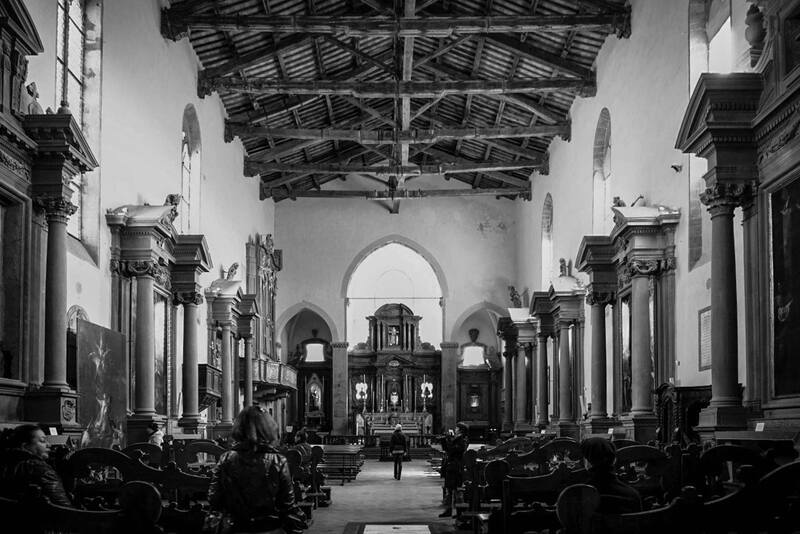 This outstanding 15th-century Renaissance church is located on the winding approach road to Cortona (2 miles from Porta Sant’Agostino). It was built on the site of a tannery (known as a calcinaio after the lime used in the tanning process) to house an image of the Virgin that had miraculously appeared on the tannery walls. 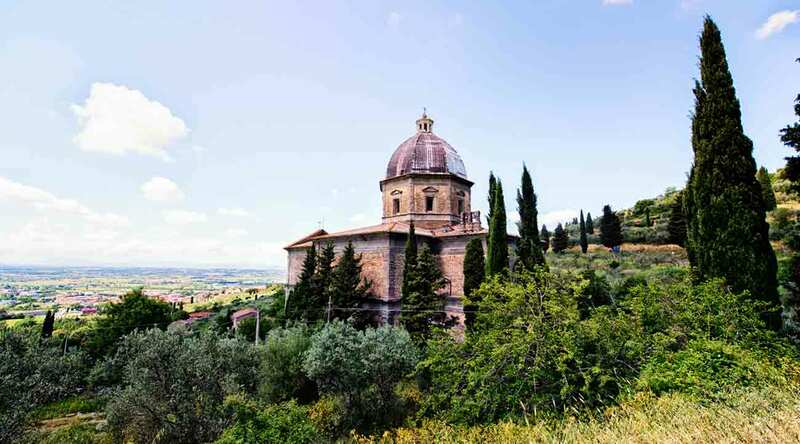 Similar High Renaissance churches, built on the Greek cross plan and with a central dome, are to be found at Prato, Montepulciano, and Todi (in Umbria). 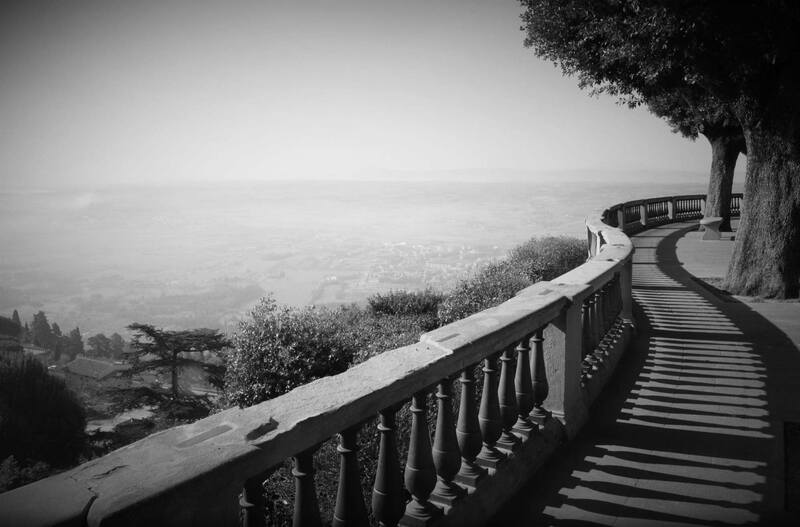 Visit the Fortezza Medicea and the public gardens near San Domenico for Cortona’s best views. Come at dusk, when lights twinkle across the huge plain below the town. At Tuoro sul Trasimeno, just a few miles east of Cortona, you can visit the site of one of antiquity’s most famous battles. 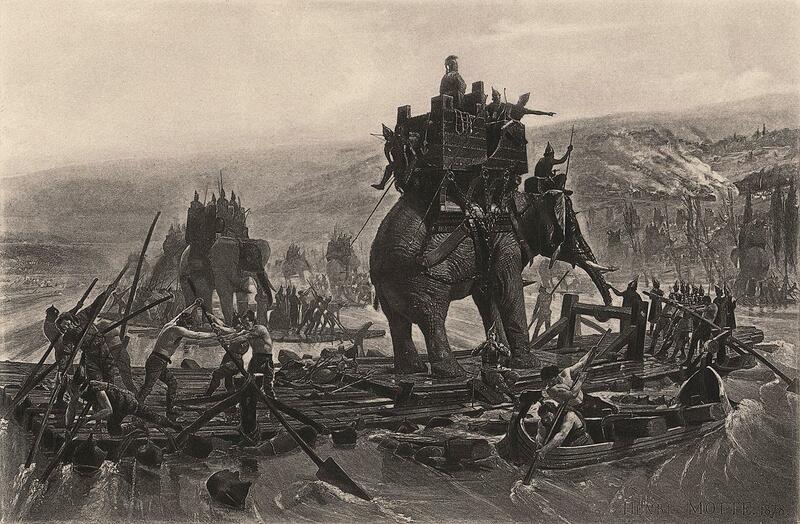 In 217 bc, Hannibal and his army defeated a Roman army under the consul Flaminius. Some 16,000 Romans were killed after a cunningly planned ambush. A drive and a marked trail have been laid out around the site.